On May 2011, Boyfriend first came up as lovely cute boys, and all 6 members now got so manly and powerful like home fatale. 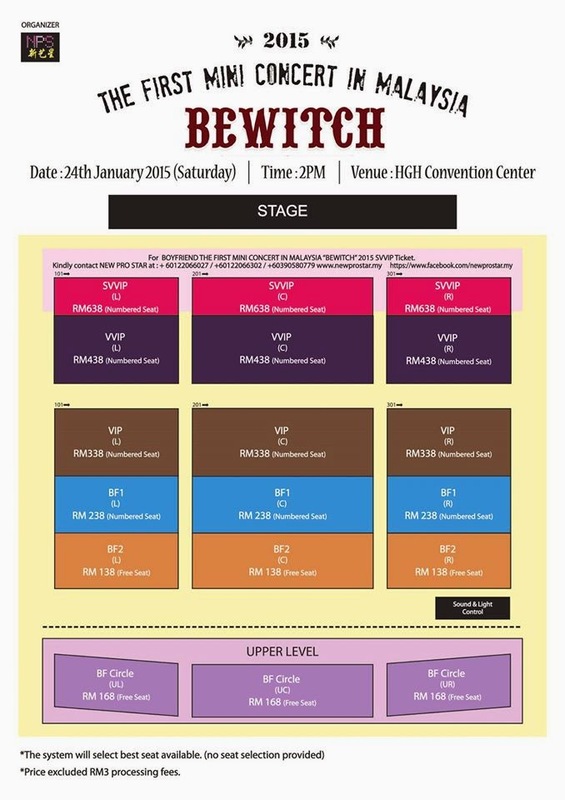 The first mini concert in Malaysia, Boyfriend the First Mini Concert in Malaysia “Bewitch” 2015 is coming up! Boyfriend maximized expectation of their first mini concert in Malaysia by going through lots of concerts successfully over the world such as Japan, Taiwan, China, Thailand, the United States, Puerto Rico, and other countries as well. 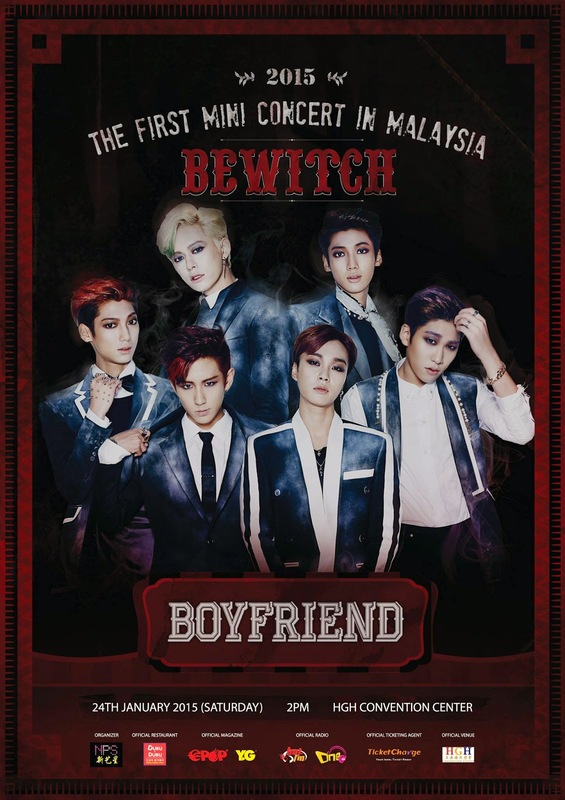 On coming January, they finally have their first mini concert in Malaysia, Boyfriend the First Mini Concert in Malaysia “Bewitch” 2015, upon fans’ love call. This mini concert will attract so many fans with variety aspects of their charm like from cute boys to wild wolves. The first outstanding stage for fans who have always been along for 4 years. On January 24th, 2015, it will be unveiled. SVVIP tickets will be priced at RM638 only at New Pro Star office. Please note that SVVIP ticket is exclusive for 150 tickets ONLY. 1. Local fans can come to New Pro Star office from Monday to Friday (11am to 6pm). Please bring along your IC. Address: 107-1 Jalan Radin Bagus, Sri Petaling, 57000 Kuala Lumpur, Malaysia. VVIP tickets will be priced at RM438 at Ticket Charge. VIP tickets will be priced at RM338 at Ticket Charge. BF1 tickets will be priced at RM238 at Ticket Charge. BF Circle tickets will be priced at RM168 at Ticket Charge. BF2 tickets will be priced at RM138 at Ticket Charge. VVIP, VIP, BF1, BF Circle & BF2 tickets will be on sale starting Saturday, December 20th at Ticket Charge. Note: Price of the tickets of all category are subject to RM3 processing fee. Source : New Pro Star Sdn. Bhd.